September and October 2017 were dangerous for some Illinois drivers due to defective tires. In September, a 50-year-old Des Plaines man was killed when the rear tire of his motorcycle blew out. He lost control of the bike and was catapulted onto the roadway where he was hit by a semi-truck. He was then gruesomely run over by several other vehicles. The man, who was wearing a helmet, was pronounced dead at the scene. In early October, a Rutland woman was killed and three others injured when, after a tire blowout, one car rolled over and landed in the path of oncoming traffic. A third October accident attributed to a blown tire occurred in Farina. The driver, a 27-year-old man from Joliet was taken to the hospital. There was no report of his injuries, but it was believed the van he was driving suffered a blowout of a front tire, causing the driver to lose control, run off the highway and flip over. According to the National Transportation Safety Board (NTSB), these are only a few examples of the 33,000 accidents that occur every year. 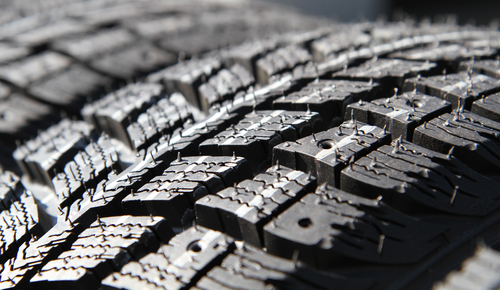 On average, more than 500 people across the U.S. are killed due to tire blowouts. Another 19,000 are injured. The NTSB says that many, if not most, of these tire blowout accidents are preventable, since defectively manufactured tires are responsible for a large number of them. Despite the recall of 3.2 million tires between 2009 and 2013, only about 20 percent of the tires were returned to the manufacturer. As of the NTSB October 2015 report, there was no way a service technician could check to see if the tires on a vehicle had been recalled as defective. The NTSB made some recommendations, suggesting the tire manufacturing industry work on improving the recall process and using technology so that mechanics can determine if a specific tire on a car has been the subject of a recall notice. You do not have to prove the manufacturer was negligent under a strict products liability theory. It might sound too easy. However there are defenses that may be raised against you. At the Blumenshine Law Group, we are tire blowout attorneys who have the experience and knowledge you need to have on your side in pursuit of your damage claim based on product liability law. If you were injured when your tire blew out, or someone you love was killed, we may be able to help. Contact us as soon as possible after your accident for a free consultation. (312)766-1000.